This week's idea is to use one of the Holly Berry House Medallion Egg Stamps. These make beautiful Easter Cards and Projects. 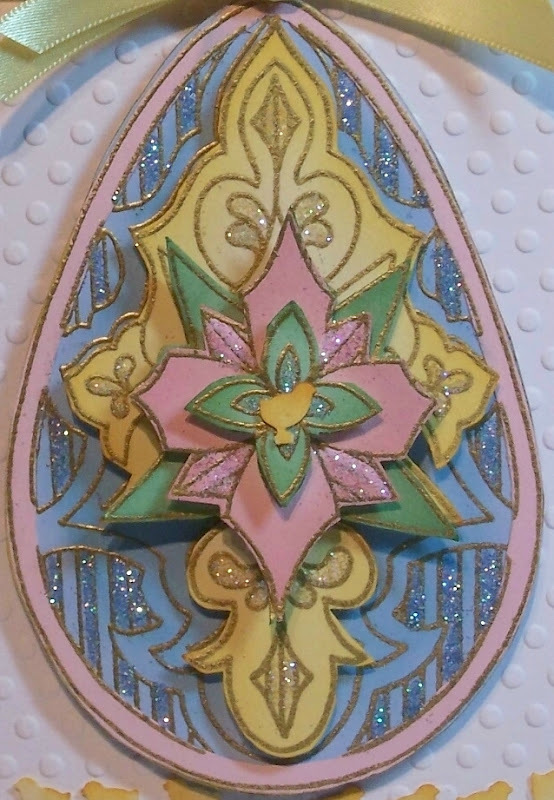 I used pastel colored card stock and stamped the egg medallion four times, once on each color, blue, green, yellow, and pink. I stamped with versamark clear watermark ink and embossed with gold embossing powder. I then cut different layers out of the different colors and popped them up layer by layer. I used a coordinating color glitter on each layer. The chick border is Martha Stewart. The egg stamp by Holly Berry House is # 1530-0, Columbine Egg. Sizzix embossing folder, yellow satin ribbon, and pearls by Melissa Frances. I used distress inks to ink up the edges of each layer of the egg with a coordinating color. 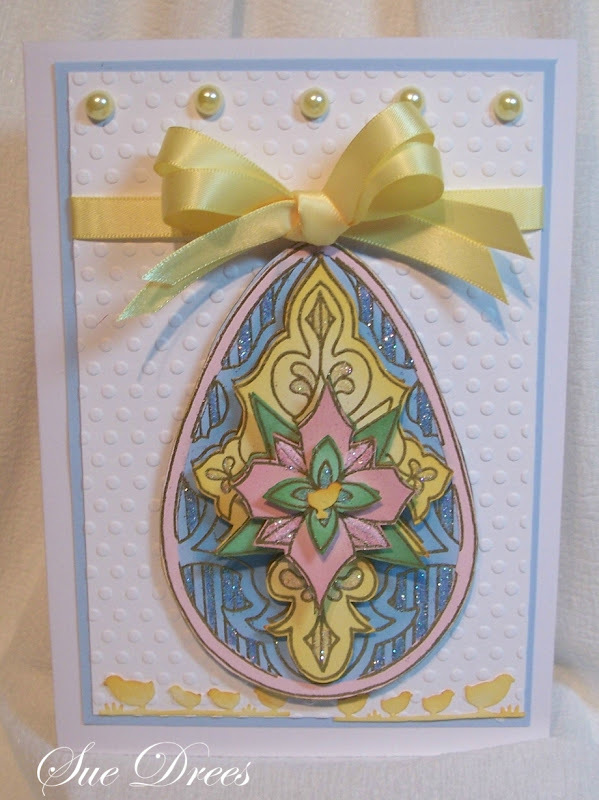 These eggs are fun to create and make a stunning card. this looks very beautiful sue, lovely colors. Absolutely beautiful;what a fabulous job you did on the wonderful image! This is beautiful! Love the pastel colors! Have a great week, my friend! This is a wow card. Very impressive. Nicely done. That EGG is GORGEOUS and those pearls Stunning! Lovely design.